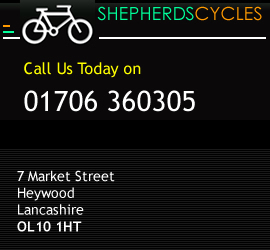 Shepherd’s Cycles is owned and run by Paul Whatmough, a multi disciplined former North West cycling Champion. 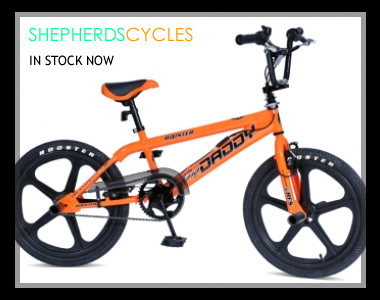 We stock a full range of cycles to suit all the family. From kids bikes for 2 years up, with Concept and Bumper, to BMX and Mountain bikes from GT, Mongoose, Haro and Rooster Big Daddy. Racers for those wanting a bit more speed, from Raleigh, Dawes and Diamondback to name just a few. We also carry out a wide range of repairs. Call in for a free quote. After a number of years of the previous site it was decided that a change was needed so we could showcase some of the great cycles and equipment which we sell in the shop. Why Would you Buy a Bike in a Box ?.. It is unlikely to work properly and it might not even be safe. Could you even assemble it ?